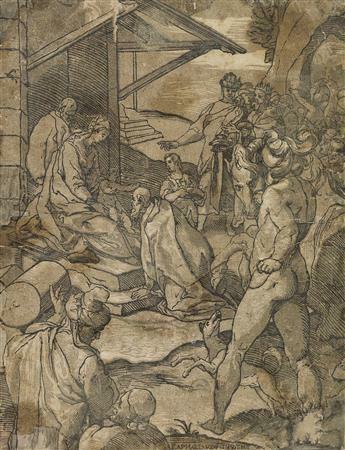 CRISTOFANO DI MICHELE MARTINI, IL ROBETTA The Adoration of the Magi. 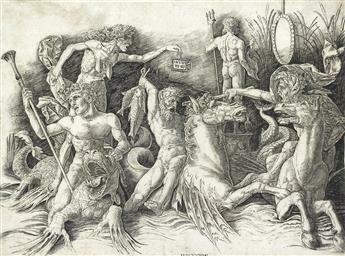 ANDREA MANTEGNA The Battle of the Sea Gods: The Left Half of a Frieze. 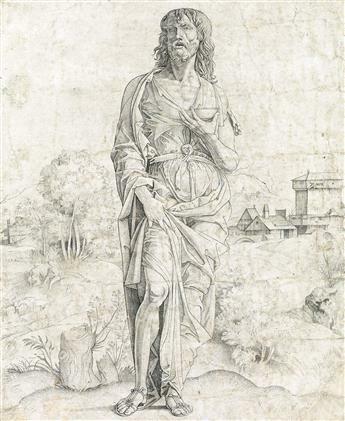 GIULIO CAMPAGNOLA Saint John the Baptist. 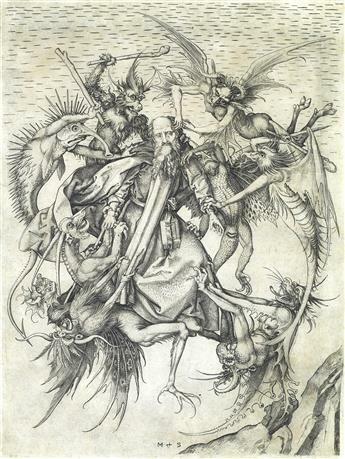 MARTIN SCHONGAUER The Tribulations of St. Anthony. 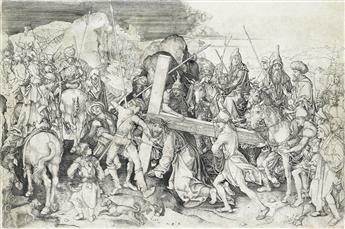 MARTIN SCHONGAUER Christ Carrying the Cross: the Large Plate. 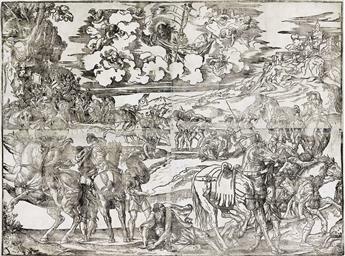 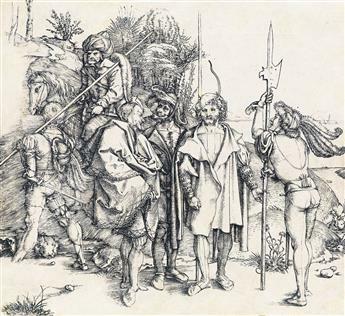 ALBRECHT DÜRER Five Soldiers and a Turk on Horseback. 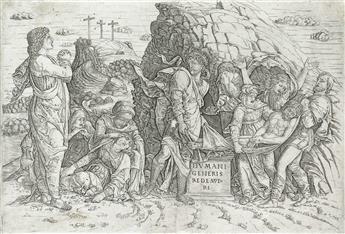 ALBRECHT DÜRER The Bath House. 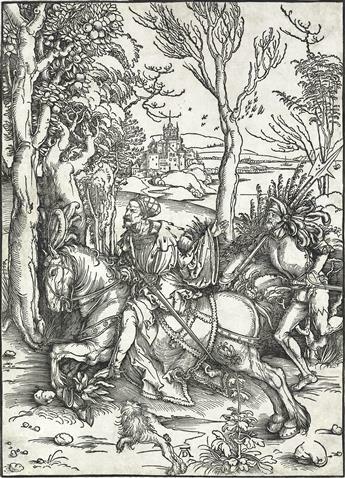 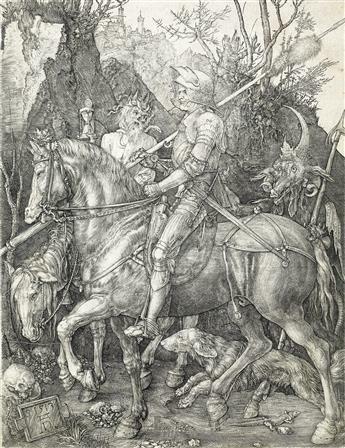 ALBRECHT DÜRER A Knight on Horseback and the Lansquenet. 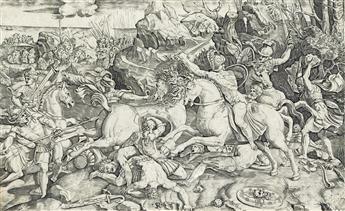 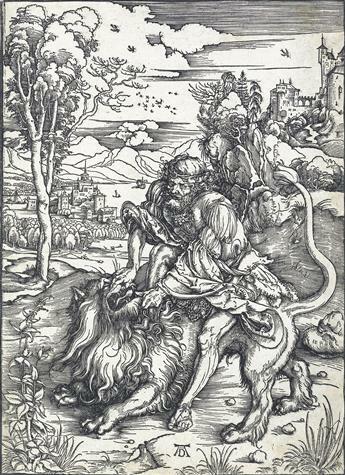 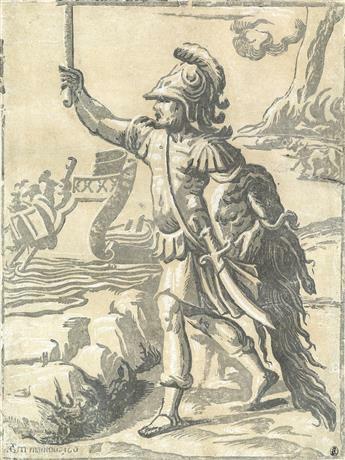 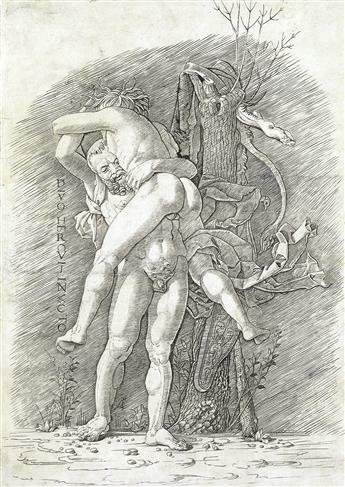 ALBRECHT DÜRER Samson Fighting with the Lion. 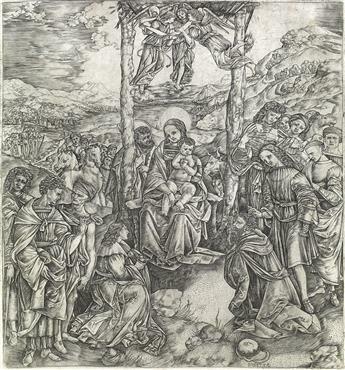 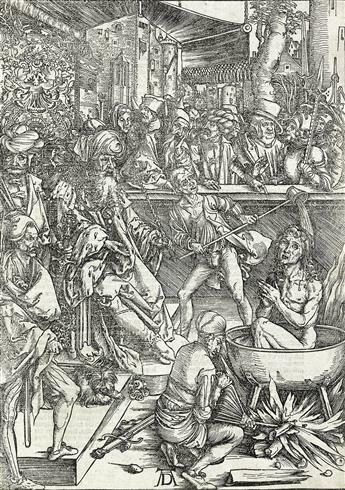 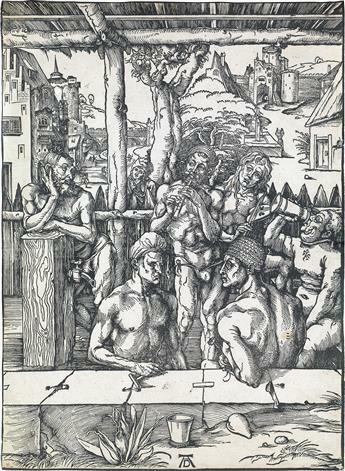 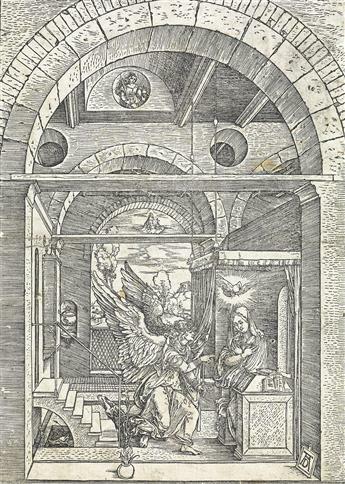 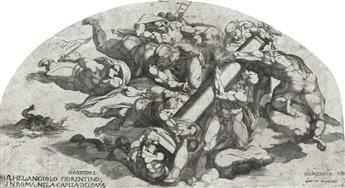 ALBRECHT DÜRER The Martyrdom of St. John. 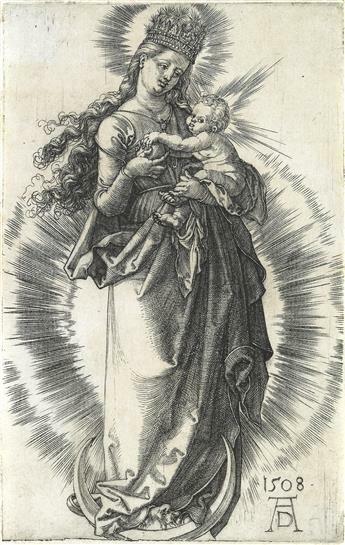 ALBRECHT DÜRER The Virgin on the Crescent with a Crown of Stars. 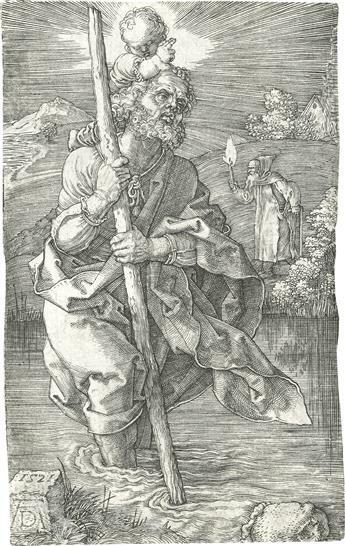 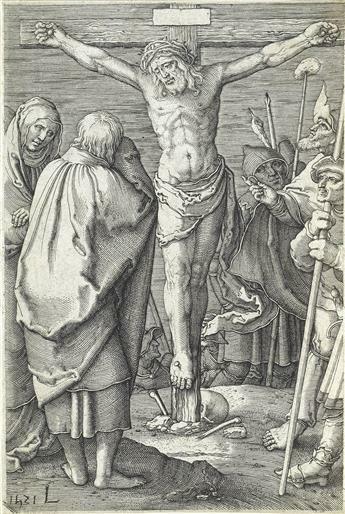 ALBRECHT DÜRER St. Christopher, facing right. 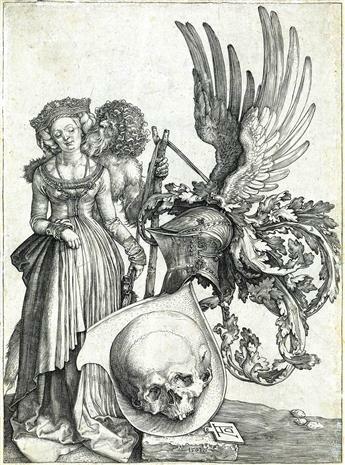 ALBERCHT DÜRER Coat-of-Arms with a Skull. 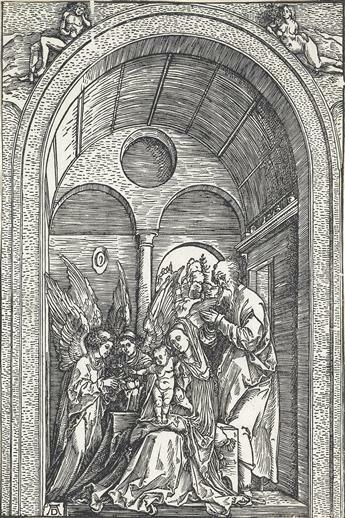 ALBRECHT DÜRER The Holy Family with Two Angels in a Vaulted Hall. 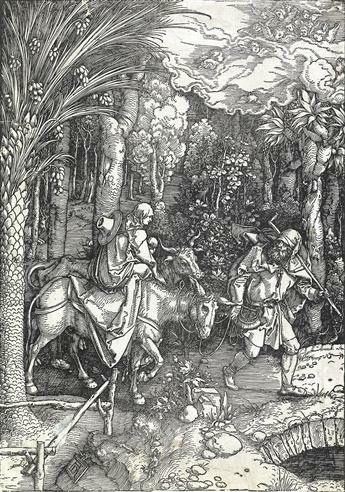 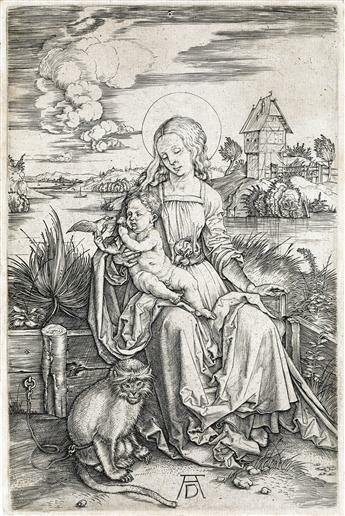 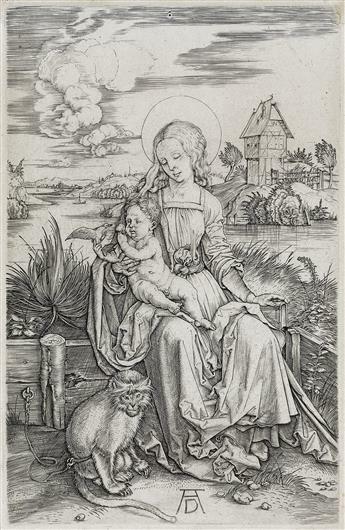 ALBRECHT DÜRER The Flight into Egypt. 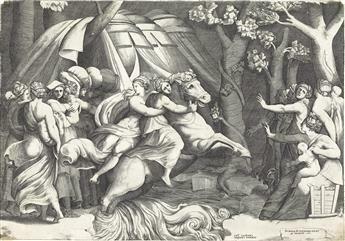 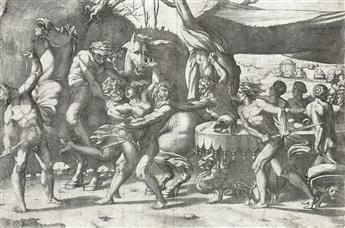 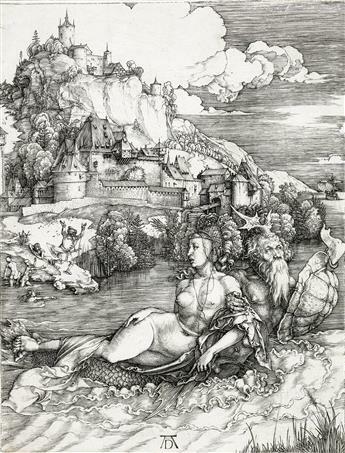 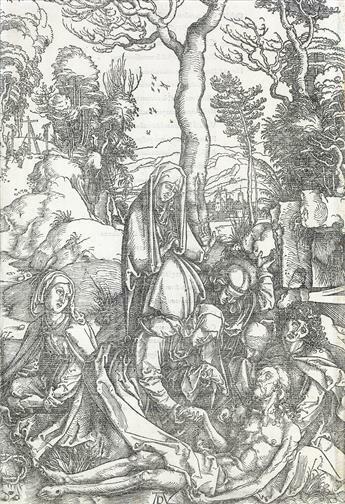 ALBRECHT DÜRER The Abduction of Proserpine. 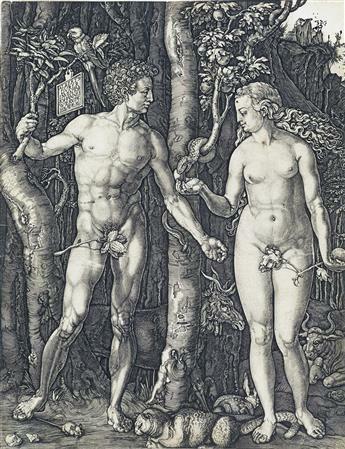 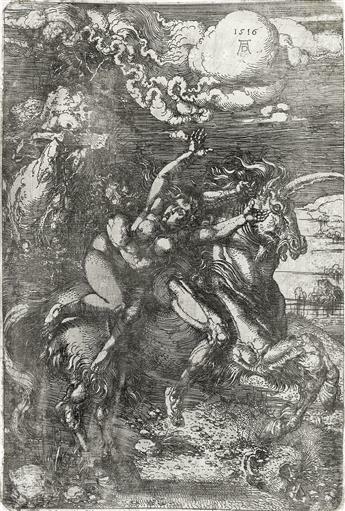 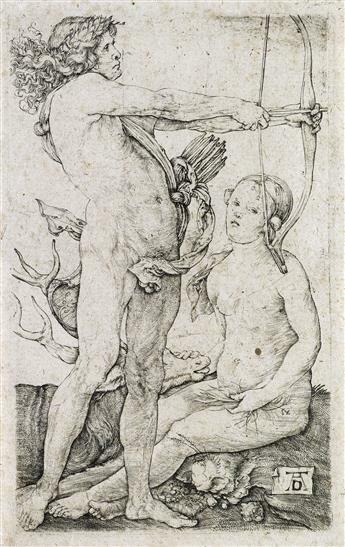 ALBRECHT DÜRER Apollo and Diana. 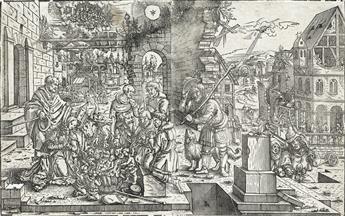 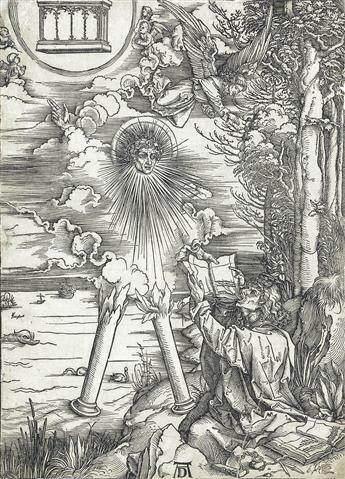 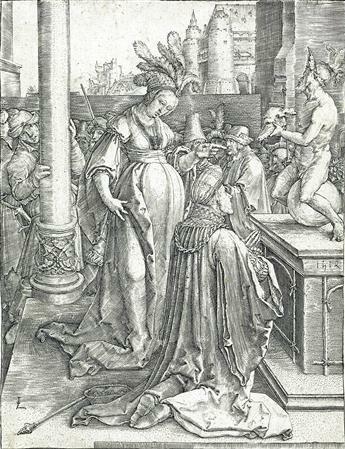 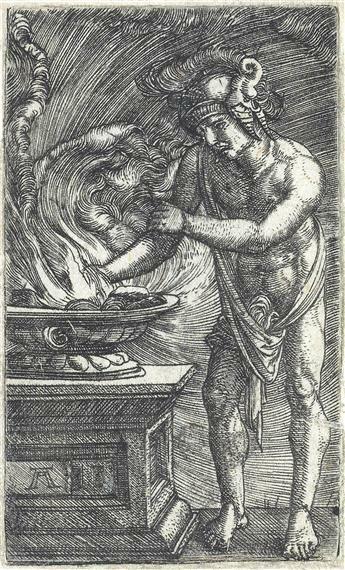 LUCAS VAN LEYDEN Solomon's Idolatry. 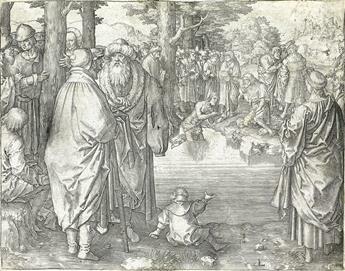 LUCAS VAN LEYDEN The Baptism of Christ. 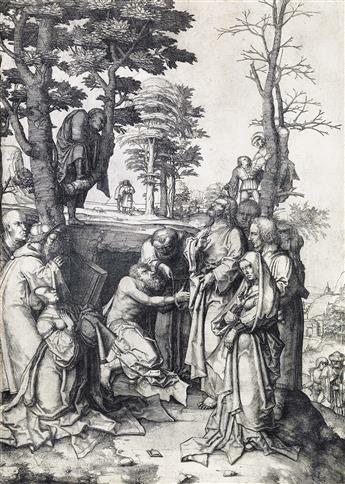 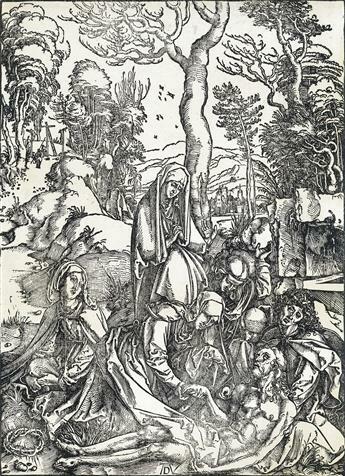 LUCAS VAN LEYDEN The Raising of Lazarus. 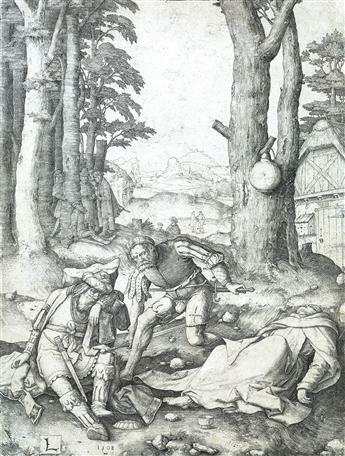 LUCAS VAN LEYDEN Mahomet and the Monk Sergius. 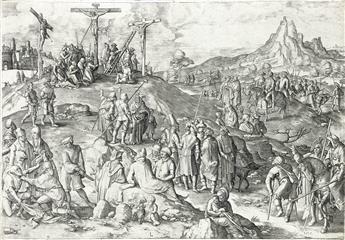 LUCAS VAN LEYDEN The Passion. 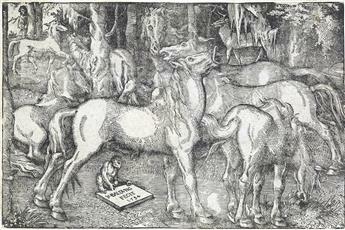 HANS BALDUNG GRIEN Group of Seven Horses. 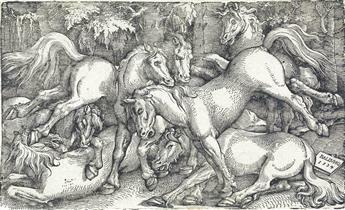 HANS BALDUNG GRIEN Group of Seven Wild Horses. 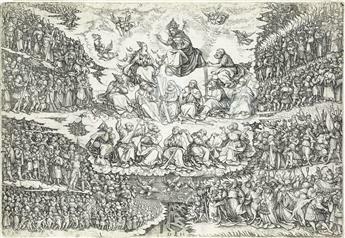 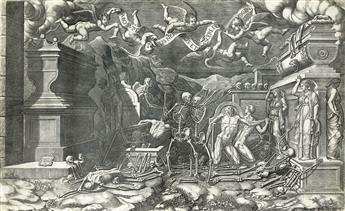 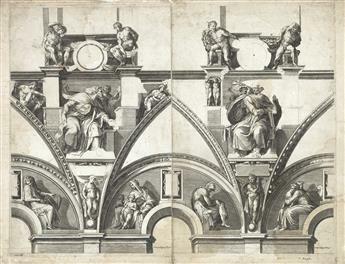 DANIEL HOPFER The Last Judgment. 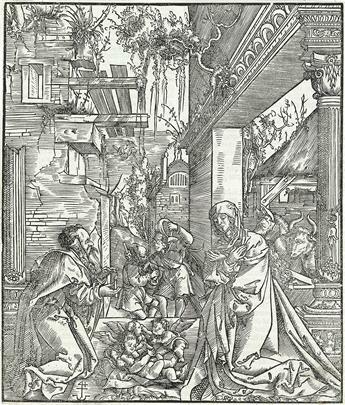 MASTER OF THE WORSHIP BY THE SHEPHARDS (MASTER WS) Adoration fo the Shepherds.